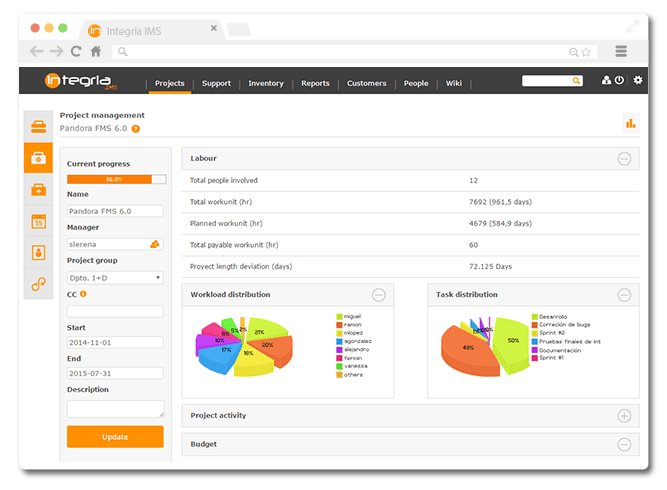 Whether traditional or fast-track projects; Integria IMS allows centralized and cooperative planning, input and workflow tracking in real time. Create and manage tasks and individual milestones. Always stay informed thanks to email notifications. Work hour inputs for each user. Hour and role defined cost inputs. Calculate the costs, handiwork, and progress reports (Gantt). 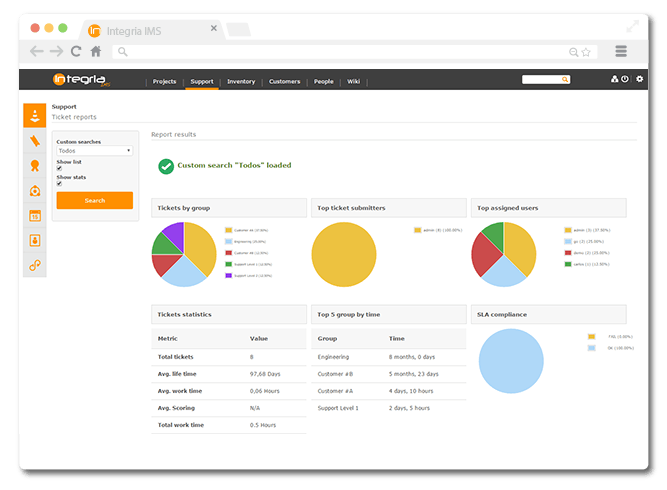 Real time reports per person, project or task; generated monthly, annually, bi-annually, etc. Establish different priorities and statuses. Tracking notes and support for attachments. 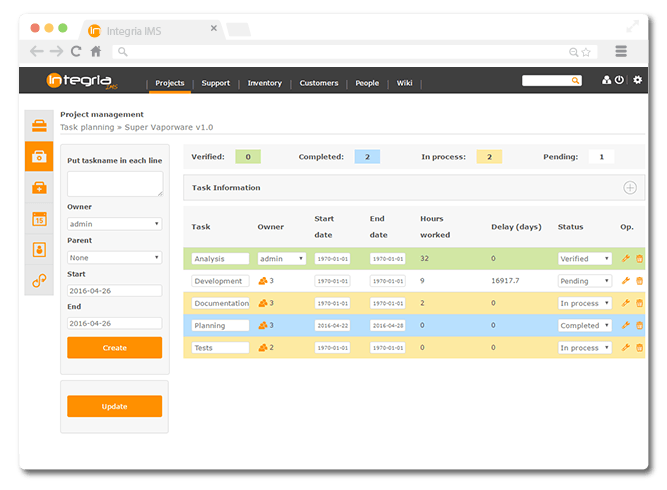 Integrated with the Help Desk module: link and input tickets to the project’s tasks.